tonight i was jonesing for something delicious and hearty, something healthy for me, too. 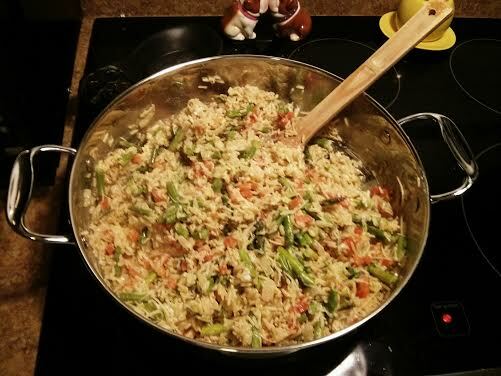 i came upon this recipe, a risotto remake, through active.com, since i sometimes like to call myself a runner. the dish was flavorful and, as i mentioned, quite hearty. it makes a very large potful, so you will have plenty for your family or enough for leftovers all week long. i served mine with pork tenderloin, a great pairing to round out this meal. enjoy!